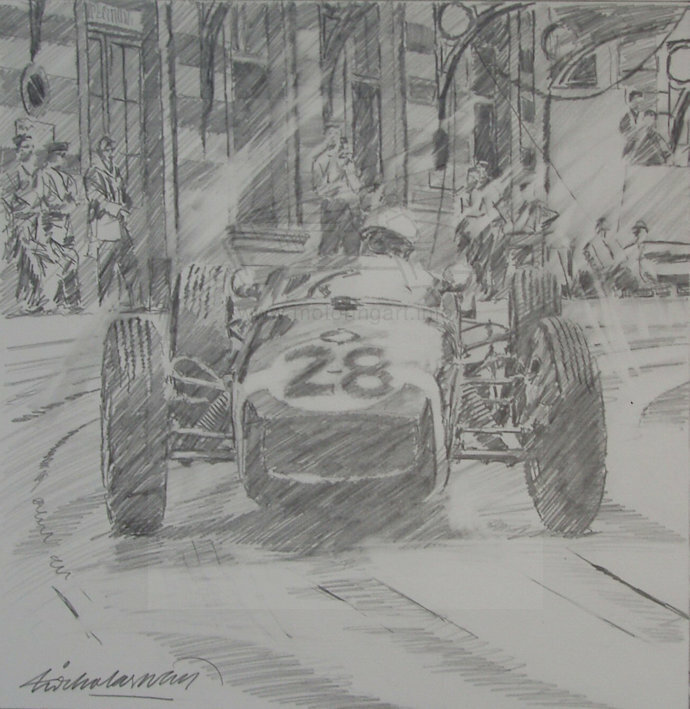 Well known contemporary motor racing artist and producer of prints. 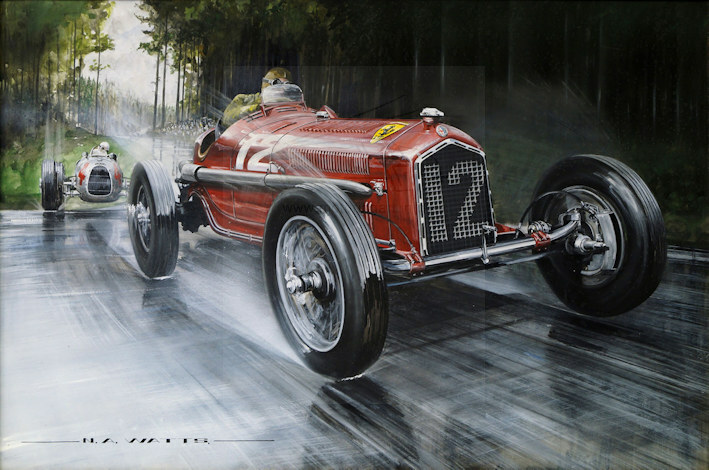 Excellent work capturing the speed and colour of the sport. 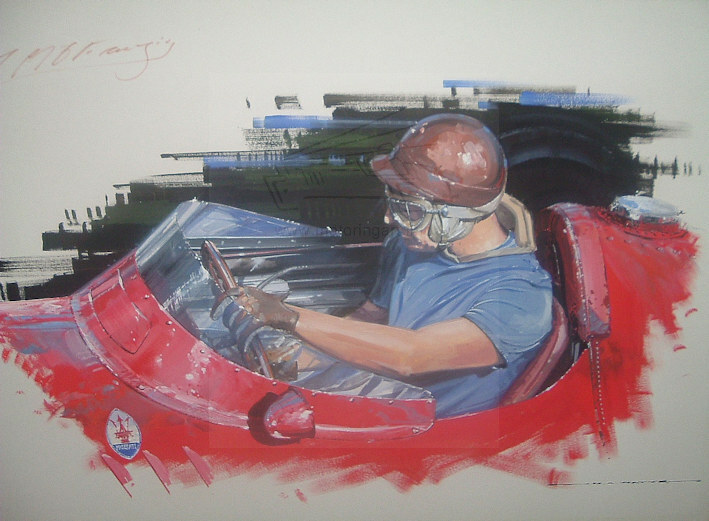 Works to a larger size with acrylics but also colour roughs and pencil sketches. 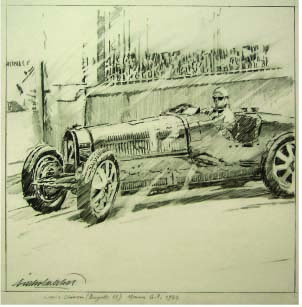 Pencil sketches were prepared for Naquins’ book Monaco GP. 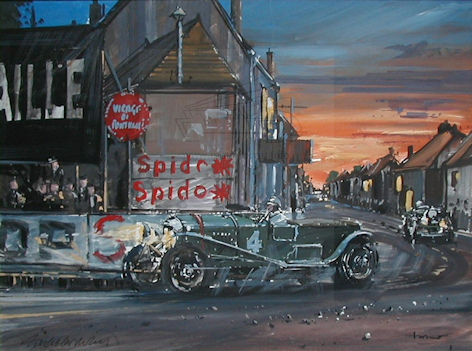 Only a few were used in the results summary but the archive came on the market via sales at Dominic Winter auctioneers.